Steven (Chicagoland, United States) on 30 October 2018 in Plant & Nature and Portfolio. Autumns array of colors spotted in this maple leaf found on the railing of a bridge in the Maple Grove Forest Preserve in Downers Grove, Illinois. Photo captured October 13, 2018. J'aime le sujet, et les couleurs sont splendides. La nature est pleine de magie. Beautiful autumn colors ! I like the patterns of maple leaves ! Near the whole range of colors in one hit ! such beautiful focus, colors, lights & textures! Beautiful ! Splendid autumn nuances ! Superb color and detail on this leaf. Excellent fall image. 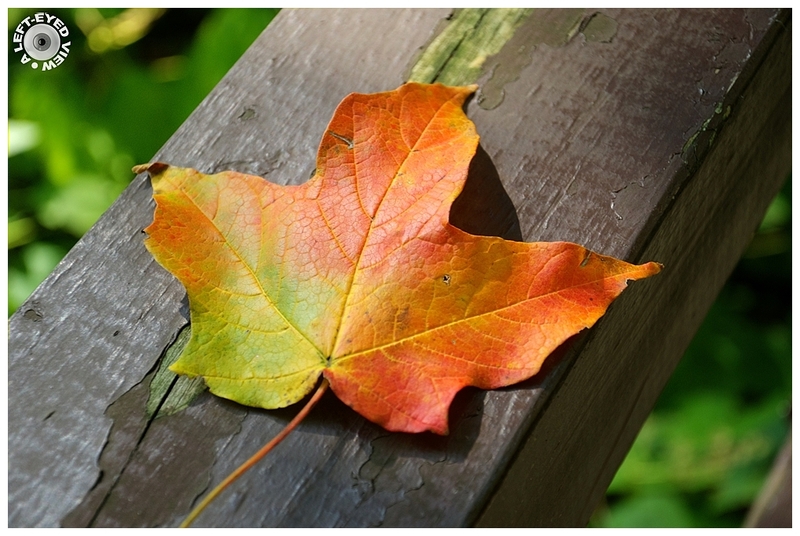 I love the melding of the fall colors in one leaf. Beautiful!!! Nice capture, it's very beautiful. So simple, yet so captivating. A gorgeous autumn picture. Superbe feuille et découpage et couleur sur ce supoort. Nature is wondrous in its diversity of colours, shapes and patterns. A splendid range of colors all in this one leaf. Lovely! Excellent composition! I like very much the diagonal. Beautiful colors all in one leaf. Absolutely beautiful! Gorgeous color and detail! A lovely autumn image! Beautiful capture! Superb autumnal tones! Autumn in one perfect leaf, very nicely presented.